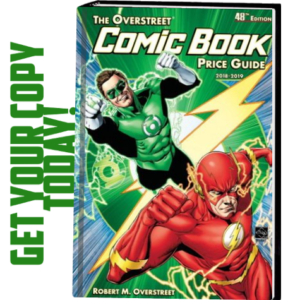 First Comics News: How did you get into writing comic books? Andrew Hawnt: I asked nicely! Seriously, that was how I started writing for FemForce. Way back in the mid-nineties when I was 15 I had a letter published in Femforce (issue 68). 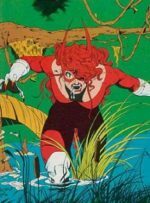 It was my favourite title at the time as it gave me the superhero action and great characters that I wasn’t getting from other publishers. This was the age of the speculator market, comics with holographic covers and heat reactive covers and suchlike. The covers were exciting, but the contents left a lot to be desired. When I found Femforce I found a comics title which was focused on telling stories well with characters who hadn’t been turned dark or ‘extreme’ or been given ludicrous makeovers. I wanted fun, and that’s what Femforce gave me. In 2015, while working as a music journalist for a national magazine here in the UK, I emailed AC Comics to see if there was any interest in a short Stardust backup story. Mark Heike got back to me and asked to see what I would come up with. 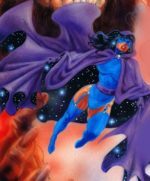 I wrote a story called ‘The Rage of Traxis’, which wound up being illustrated by Scott Shriver and blew my mind when it came out. I’ve been writing scripts for AC since then for FemForce plus the Violet Shadow one-off, and now I’m lucky enough to have the lead story in the first issue of Superbabes. It’s amazing to see the AC characters in colour again! 1st: What makes a Superbabe a Superbabe? Andrew: The title of the book has an interesting history beyond being a descriptive term, and I’m eager for that history to be circulated should the title be judged. 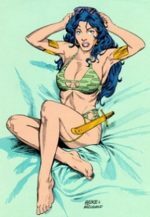 Superbabes was the name of the AC Comics role-playing game from around 1993 and as such carries some weight beyond what it may initially seem like. That game had robust mechanics and, much like a lot of Ac output, paid respect to the heroes of past decades and the type of adventures they had. The Superbabes title thus is in keeping with the AC fondness for classic storytelling. Regarding the matter of what makes the characters ‘Superbabes’, it’s all a matter of what the characters themselves can bring to the table. You have the upstanding, positive patriotism of Ms. Victory, the powerful magic and mystery of Nightveil, the crazy but loveable Synn, Tara’s strength and ingenuity, Stardust’s genius and formidable powers… they all add up to a great team. 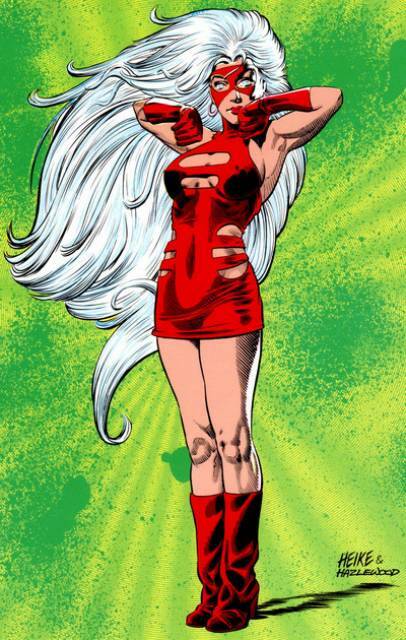 Add to this a strong supporting cast of characters such as Roberta Strock, Stormy Tempest and the like and you have a universe that was built on strong female characters as much as it was built on their looks. 1st: Who will we see featured in the pages of “Superbabes”? 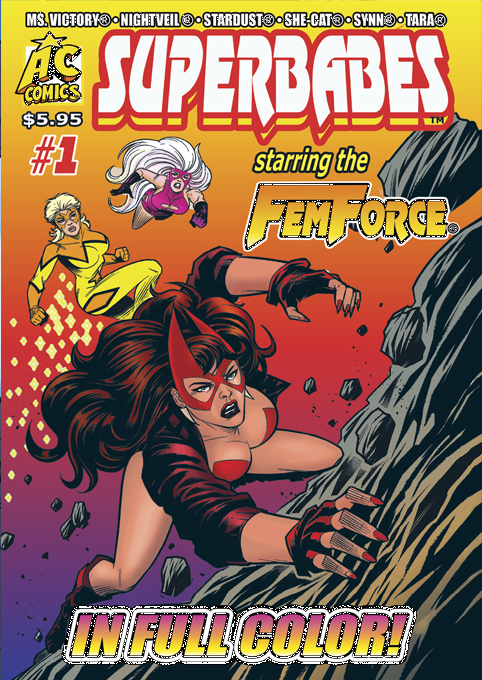 Andrew: Each issue will feature a Femforce or Femforce related story set alongside the current continuity of the ongoing FemForce title, backed up with solo stories from Femforce members or supporting characters. It’s a great mix to help reintroduce AC to readers who may not have picked one of the books up for a while. This is a great jumping-on point. 1st: What can you tell us about “Headhunter’s Wake” the first story arc in “Superbabes”? Andrew: I wanted to write a team story, as I’d mainly written solo stories until then with a focus on Stardust, She-Cat. Ms. Victory or Tara. Due to the immense importance of Nightveil and Synn in the AC pantheon, I figured that a team story would help me to build my experience of writing Synn and Nightveil as well, as I haven’t worked on those characters much, mainly as I wasn’t sure I could do them justice. ‘Headhunter’s Wake’ sees the team investigating a crashed spaceship just off the Florida coast. It introduces some new villains with a shady agenda and I feel it showcases the powers and personalities of the team nicely. I think that’s one of the reasons it was chosen for this fantastic new start. 1st: Is it easier for you to write a comic about women than about men, what differences are there? 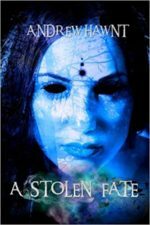 Andrew: I find I always gravitate towards female characters, which is evident in the prose books I have out, such as my novel ‘A Stolen Fate’. I have a lot of strong women in my life and they’ve always inspired me in many ways. I feel I am able to be more emotionally resonant with the things I write for female characters. That’s not to the detriment of male characters – I just feel far more comfortable writing women. It’s important to me that the characters aren’t there just to be ogled. These are heroes risking their lives for other people, and the psychological impact of that needs to be addressed just as much as the physical impact of epic battles and magic powers. I feel that stories which resonate on more than one level last longer in the mind of the reader and offer more value than just putting out stories where people hot each other until something explodes. There is a kitsch edge to these characters, which is understandable considering the long-running good-girl/cheesecake style that readers have loved for so long, but as a man writing women I want to do my best to be respectful and show these characters in their best possible light. That also applies to me writing American characters. I’m from the North of England, I live in Nottingham in the Midlands and have never stepped foot in America (yet), so I want to make sure the characters ring true for the readers on the books’ home soil! 1st: When writing “Superbabes” do you have a favorite super babe? Andrew: My favourite character from AC’s lineup is Stardust. I love her mix of power and curiosity. When writing Stardust stories it’s always satisfying to put an alien spin on her motivations while still respecting the integration she has experienced during her time on Earth and working with the FemForce. She’s a blast to write, and the four Traxis stories I did with her (‘The Rage of Traxis’, ‘Where Vengeance Hides’, ‘The Distant Horde’ and ‘The Void Armada’) are amongst my favourite things I’ve done so far. She-Cat is another favourite as I can put more humour into her dialogue and revel in her enjoyment of action scenes. 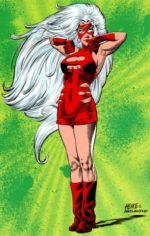 1st: What are the main differences between “Femforce” and “Superbabes”? Andrew: I feel the differences are more than just ‘Superbabes is 32 pages in colour and FF is 80 pages in black and white’. Superbabes is AC’s first foray into colour comics in a while and as such, it needs to have a positive impact. I haven’t read the other content in Superbabes #1 yet, but from my experience with the two chapters of Headhunter’s Wake, I feel the new title can be a bit bolder and direct while the AC universe is reintroduced to a new audience. From what I understand, this is just the beginning. 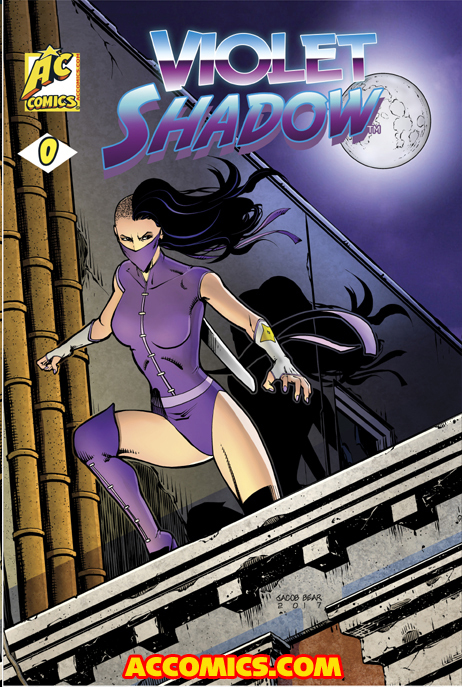 1st: What is “Violet Shadow” all about? Andrew: Violet Shadow started out as a guest character in a She-Cat script I wrote. I love ninja characters and wanted to pit She-Cat against a ninja with an attitude problem so she could help to guide her on the right path. 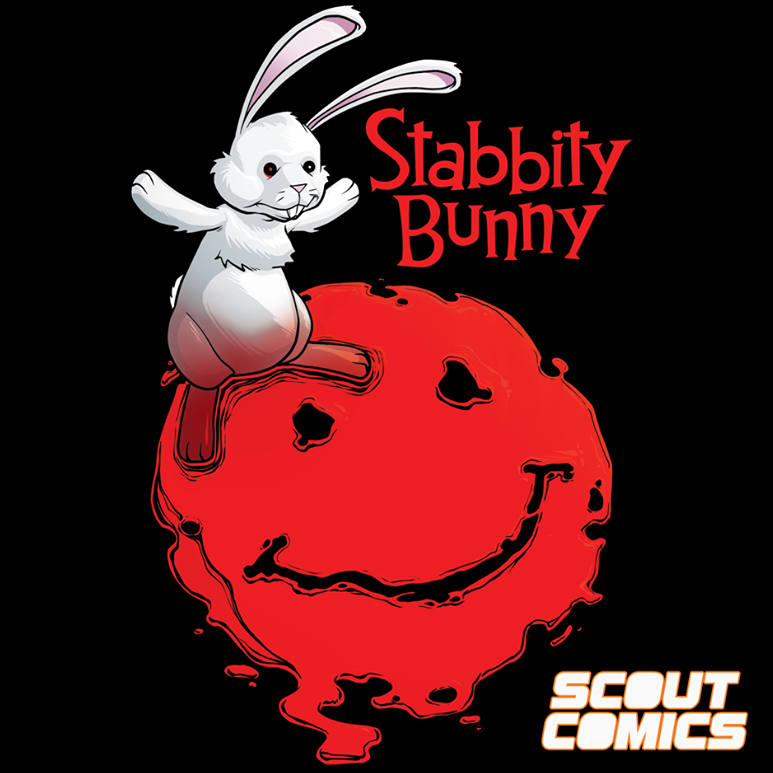 This moved on to some solo Violet Shadow stories and the Violet Shadow incentive comic AC published. Her first arc will be completed by ‘Blood of Ages part 2’ when the time is right. I wrote it some time ago and I hope there is sufficient interest to see that climax in print before too long. I’ve mapped out her second arc, so there are lots of stories to tell. 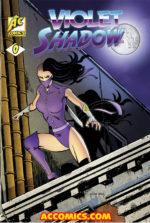 Violet Shadow is the vigilante guise of Victoria Liu, a half Chinese, half Swedish woman whose parents were burned to death when a local crime syndicate torched several residential blocks. The boss of that syndicate was toppled in the She-Cat story, but this left a void that was filled by an even worse crime boss, who has an army of criminals at her disposal. Violet looks quite harsh, with her severe hairstyle and constant scowl, she has anger issues and fights to keep herself in check when she is in danger of going too far when apprehending villains. This hasn’t featured in the stories yet, but she’s part of the underground Industrial music scene, which is where her style originates. I hope we’ll see her again soon. 1st: What is the secret to writing a great story? 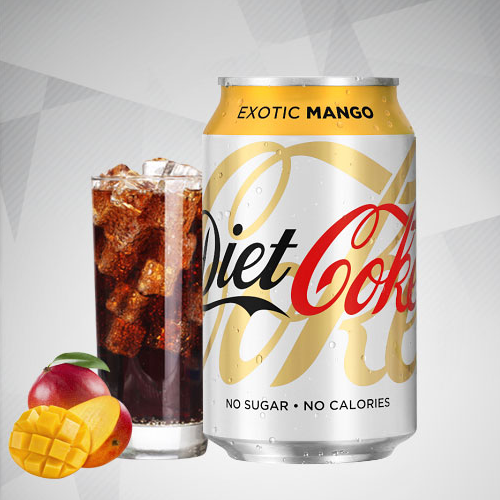 satisfying manner. Heck, I have no idea, really. I would maybe say the secret is to write what you would want to read while respecting the property it is a part of. It also helps that Mark and Stephanie Heike at AC give fantastic constructive feedback. I mean, who knows these characters better than them and Bill Black himself? Nobody. They’re brilliant people to converse with. 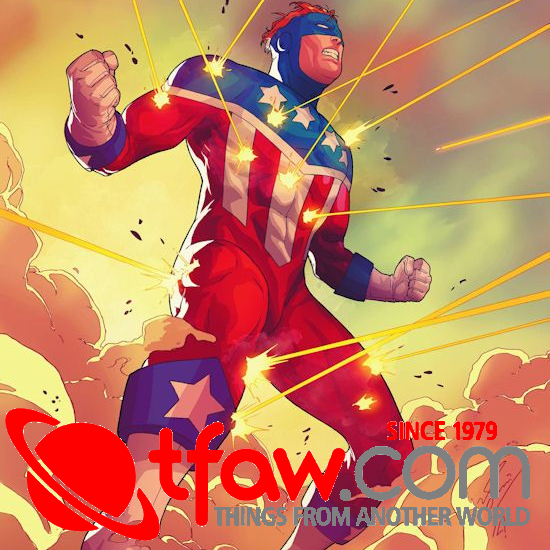 1st: Who is the most powerful super-hero at AC Comics? 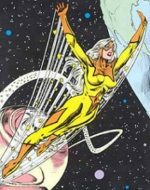 Andrew: I would say Synn, as the limits of her abilities – and their unpredictable nature – could yet take decades more to fully explore. Aside from her, I’d say Nightveil, as her arcane skills are phenomenal. 1st: If you could sit down and talk with one super babe which one would you pick and why? Andrew: I would sit with Stardust and ask her about the things she finds odd about human culture, and maybe if Russian science could give me my hair back or make my kids let me sleep in a little longer, haha. 1st: If you were a super babe what would your name and powers be? 1st: How do you like to spend any free time you get? Andrew: Free time is at a premium with two young sons (six and four years old respectively), but when I do get some I indulge in Warhammer 40,000 and Warhammer: Age of Sigmar tabletop role-playing games along with Magic the Gathering. Warhammer/Games Workshop HQ is only a twenty-minute drive from my house so I spend a lot of time at the huge Warhammer World facility taking in the delights of their restaurant and games arena and bankrupting myself in the stores there. 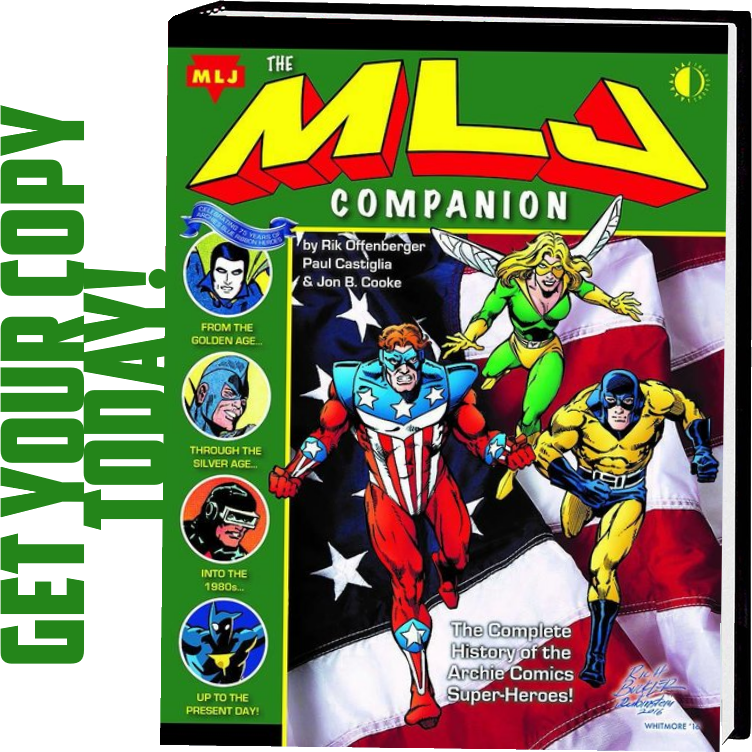 Comics play a big part in my life, naturally, and I greatly enjoy absorbing the culture and history of the industry. I play guitar (mainly melodic metal and blues), write fiction, and am currently designing a new RPG kit for kids and parents to use together. Over the last year, I wrote two horror movie scripts for the Director/Producer/Scream Queen Jessica Cameron (who directed ‘Mania’ and ‘Truth or Dare’ and has been commended for her roles in films such as ‘The Song of Solomon’). She has been such a pleasure to work with, and I hope that those projects can be talked about more soon. 1st: What would you like to say to your readers of “Superbabes”? doesn’t change the characters they know and love – it just offers more to enjoy!